Apacer UDIMMs are high performance memory modules that are highly stable and compatible. Applicable for desktop computers, industrial computers and embedded systems. LONG DIMM modules are general DRAM modules meant to be used as standard products for general embedded applications. 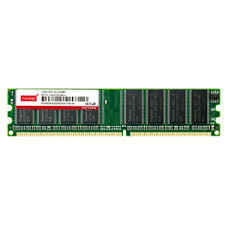 These modules are compliant with JEDEC standards and available in DDR1, DDR2, DDR3 and DDR4. ECC modules are designed to detect and correct single-bit errors that occur during data storage and transmission. ECC modules use Hamming Code or Triple Modular Redundancy for error detection and correction, and manage error corrections on their own, without requesting that the data source resend original data.